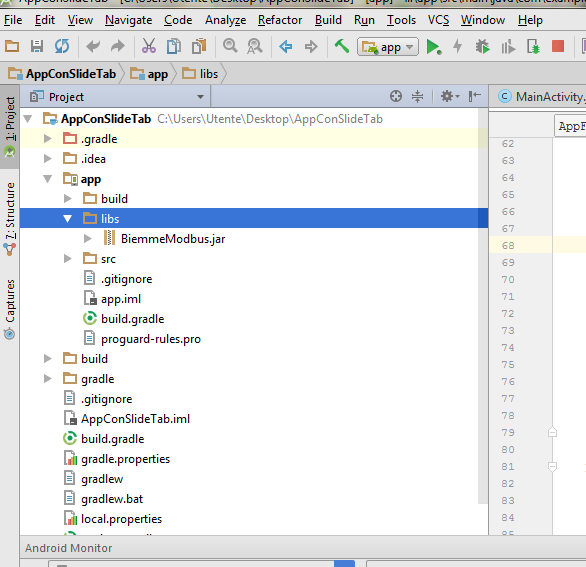 In this example we are going to show you, how to import a Custom Library on Android Studio. First of all, open one of you projects or create a new one. 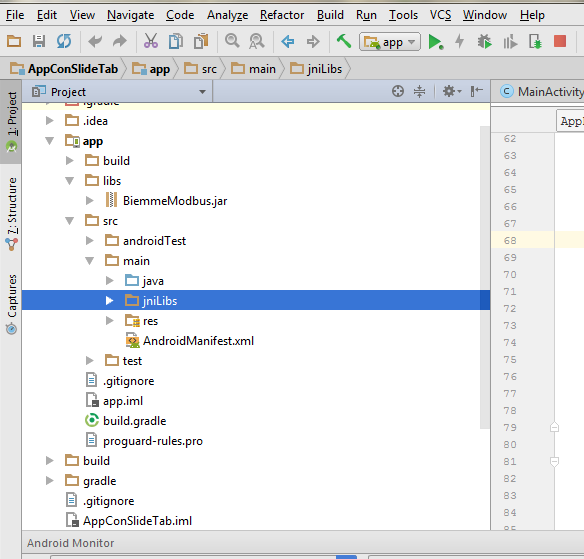 Click on the DropDown menu that you find on the left-top corner of the screen, under the File Menu, scroll options until you find the word Project and click it. so the import, has just been completed.